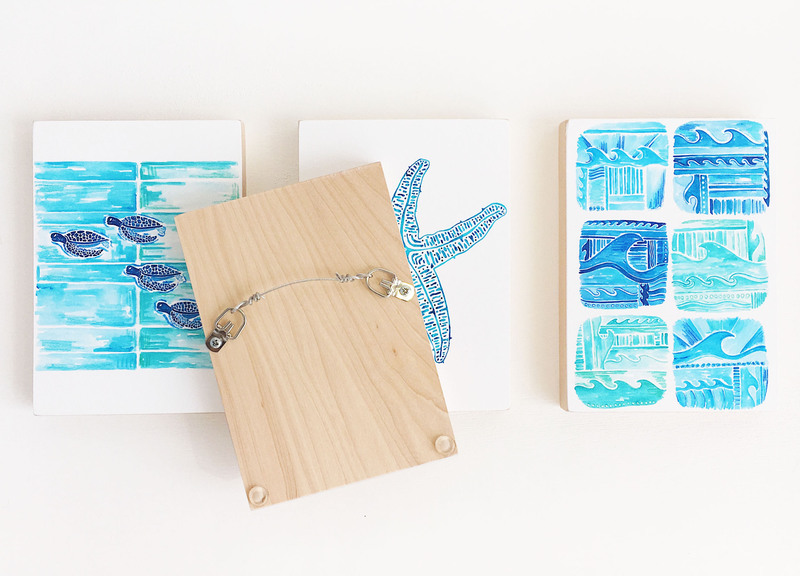 Eco-friendly art + gifts of sun, sea, + sky. 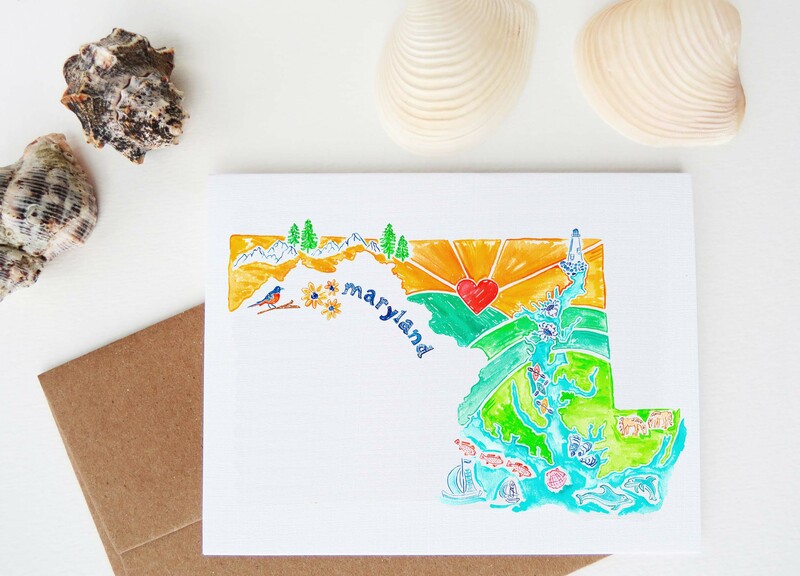 Island of Blue is a handmade and eco-friendly small business that creates colorful and whimsical art and gifts from salvaged, sustainable, and domestically sourced supplies. Each piece is lovingly handmade and inspired by beautiful places of sun, sea, and sky. Pull up a hammock and listen to the symphony of the ocean or ponder a field of blue wildflowers. Kelly Coral is the artist, designer, and maker behind Island of Blue. She started Island of Blue several years ago with a mission to create eco-friendly and socially responsible art and gifts that inspire and share love. Her clean lines and graphic artistic style are the product of her prior career as a Landscape Architect. While completing her Master's Degree in Landscape Architecture at the University of Florida, Kelly loved the illustrating and rendering portions of each design project and would often spend countless hours in the studio perfecting the final product. She carries that same dedication to her current work as an artist and designer. All of Kelly's pieces start out as thumbnail, concept sketches, from which she builds hand-drawn, original artwork. The artwork is then offered as originals, fine art reproductions (giclee prints), notecards, or rustic-style wood blocks, all made from salvaged, sustainable, and domestically sourced supplies. 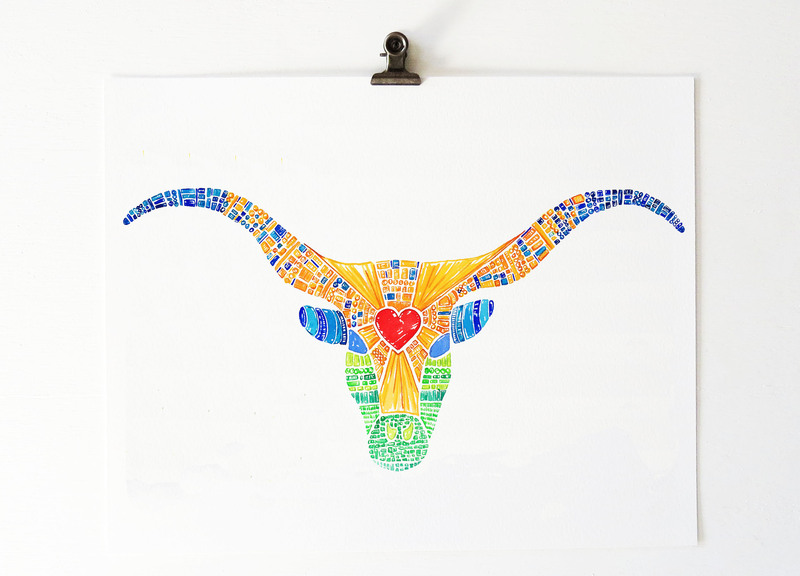 Kelly's passion for creating eco-friendly art and gifts has led to hundreds of whimsical and colorful illustrations that have been featured on several blogs and in magazine publications. Her work is displayed in more than five countries throughout the world, and she has hundreds of happy customers and glowing reviews. Island of Blue can now be found in a growing number of boutique storefronts throughout the United States. Island of Blue donates ten percent of all proceeds to The Turtle Hospital, which is a 501(c)(3) charitable corporation in Marathon, Florida, dedicated to rescuing and rehabilitating injured sea turtles throughout the Florida Keys. Learn more about this wonderful organization through their website at www.turtlehospital.org. Maps that capture the essence and spirit of places close to your heart. Art wood blocks that are ready to hang on the wall or decorate the mantle. Outdoor inspiration of sun, sea, and sky, available in different sizes. We're happy you're here and would love to help you! Please get in touch with us, and we will reply soon. Thank you for your interest!